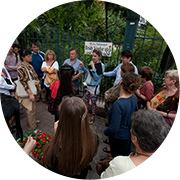 ImagineBudapest has been established to offer locals and visitors alike exciting, one-of-a-kind historical tours through Budapest’s less well-known parts and hidden treasures that you will not find in any guidebook. Organized around special themes, our walks lead you beyond the façades and make you see what the battered walls and the fine ornaments, the holy places, or the secret gardens hiding within the concrete jungle can tell us about the life of a legendary city and its inhabitants. Our philosophy is that you can only understand a place if you become part of it – if only for a few hours. Let’s travell off-the-beaten path and discover the truth behind the facade! 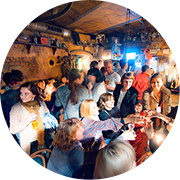 Join our tours before and after WOMEX! A great video about the city!